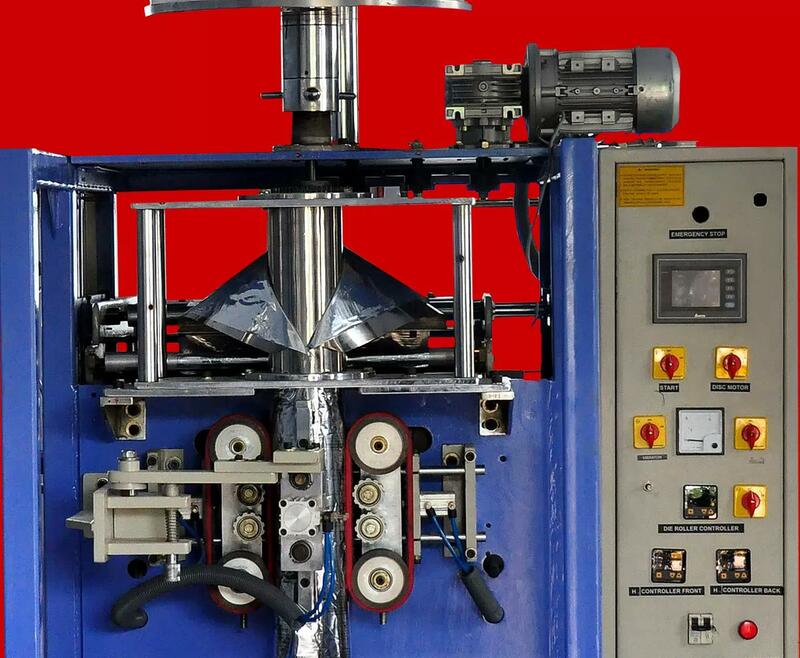 This is a Volumetric Cup Filler with six cups. The cups can be adjusted up to ± 20% . The Rotary Cup Filler can be offered in the range of 200 grams to 10kg. In the similar range, we can provide Gusset up to 2kg. We can also provide carry bag system. Optional item is Date Coding Devise. The output will be better in Rotary Cup Filler. The machine is operated through PLC and HMI.